david agrella – David Agrella AKA Agrellomatica is an Italian artist/dj/producer. He started playing records in clubs and local events in his hometown of Benevento since he was 14 years old. Even from that early age he showed a natural ability behind the decks, with a sense of immediacy and the ability to improvise and create eclectic and surprising DJ sets. Since moving to London in 2011 David has also played regularly at clubs such as Egg, Horse & Groom, The Big chill Bar, The Social, Shoreditch House, Soho House, The Hoxton, Red Gallery’s events, Street Feast, The Shelter, 93 Feet East and at several ‘Noise of Art’ events. Apart from DJ-ing David has other musical skills on piano and guitar and combines these with a fierce hunger for cross-genre styles. In 2007 during his sound engineering studies at ‘Saint Louise Music College’ in Rome he released his debut ‘ Modulo’ EP – a techno experimental track on the Italian Meadow Lark/Elettronica Romana record label, owned by the legendary record shop ‘Re-mix’ in Rome. Whilst in Italy he had the opportunity to play in various events and parties and after hours nights alongside other experienced DJs. His last residency was at Salvatore Stallone’s ‘Polyritmia Club’ in Benevento in 2010. In 2014, driven by his passion and need for innovation, he created the 'Dance Off’ clubnight at the legendary 'The Social’ in Soho. It was an eclectic selection that got people dancing no-matter what genre they are into as part of The Social’s 15th anniversary celebrations and marking 20 years since the ‘Heavenly Sunday Social’ club night, which was the Chemical Brothers first London residency. Most recent releases from David include an EP on System of Survival's 'FVENTI' Records and a production for Phonetic Recordings. ’The Piano’ supported by the likes of Francois Kevorkian, Cassius, BBC Radio, Marco Carola, MTV, Time FM, DMC BUZZ CHART, DJ MAG and included in ‘Ibiza Night and Day’, hits N.8 in Beatport’s House Chart. He is currently working on curating a brand new compilation for Mustard Music Publishing. Is an Italian recording artist, DJ and Producer. 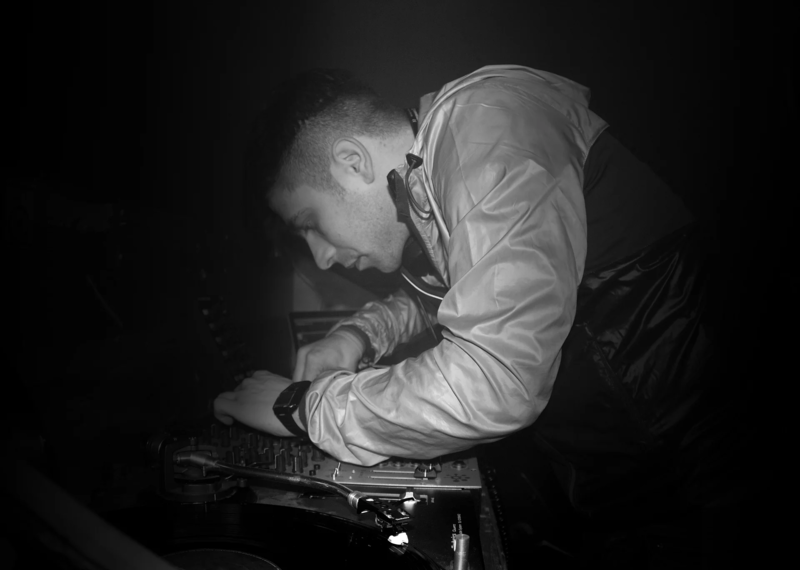 Hooked in to a music culture at a very early age, he started playing records in clubs and events in his hometown of Benevento, and fast gained a reputation as a prolific Dance floor reader, creating much talked about eclectic DJ sets with his ability and musical versatility when it came to creating a memorable atmosphere at his gigs. Now living in London, David can be found playing his trade week in, week out, at clubs such as The Social, The Big chill Bar, Shoreditch House, The Hoxton, Red Gallery’s events, Egg, Street Feast, The Horse & Groom, The Shelter, and at the ‘Noise of Art’ events. His DJ sets have lead to weekly residencies at the excellent MNKY LNGE every Thursday, Soho House & Co, monthly nights at the iconic urban Big Chill Bar in Bricklane and various east London venues. After completing his sound engineering studies at ‘Saint Louise Music College’ in Rome, he released his debut ‘Modulo’ EP - a techno experimental track on the Italian Meadow Lark/Elettronica Romana record label, owned by the legendary record shop ‘Re-mix’ in Rome. Driven by his passion and need for innovation, he recently created the 'Dance Off’ club night at the legendary 'The Social’ in Soho. It was an eclectic selection that had people dancing no-matter what genre they are into as part of The Social’s 15th anniversary celebrations and marking 20 years since the ‘Heavenly Sunday Social’ club night, which was the Chemical Brothers first London residency. Recent releases from David include an EP on DC10’s System of Survival's 'FVENTI' Records and several new productions for the chart topping Phonetic Recordings label. David’s remix of NYC’s Sin Morera ’The Piano’ track, was championed by the likes of Francois Kevorkian, Cassius, BBC Radio, Marco Carola, MTV, Time FM, DMC BUZZ CHART, DJ MAG and included on the Rob Roar Presents Ibiza Night and Day’ album, hitting N.8 in Beatport’s House Chart. His current release is a Nu Disco/Deep House remix for OJ & Fridel's (Soho Sonic Studio) on 'Feel My Love' Feat Byfyn, which is already receiving series tastemaker support. A trained Musician, David relishes in playing piano and guitar, combining these with a fierce hunger for cross-genre styles, which in turn has led him to be asked to compile and mix his own Album for Mustard Music Publishing, a prolific music publisher.